There's nothing like a caramel apple! 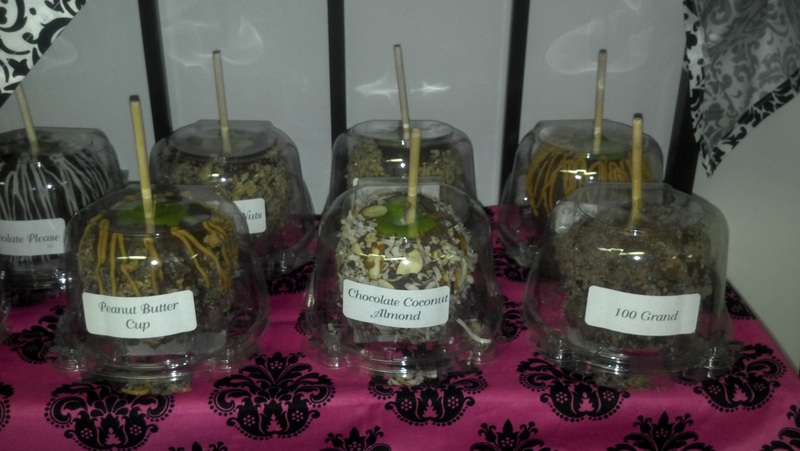 Of course we have added out Sweet Treats flair and now there's nothing like OUR caramel apples! We take a Granny Smith Apple and dip them in caramel then in chocolate and roll them in your favorite toppings just like our deluxe strawberries! Some of our flavors do not require the chocolate and the apple is coated right onto the caramel. Try a few and let Sweet Treats make a fan out of ya!! We have had the occasional customer that is just not a "fan" of the Granny Smith Apple so if you would prefer to have a different apple let us know!! Sign up for our Specials Email for Caramel Apple Friday's dates!! 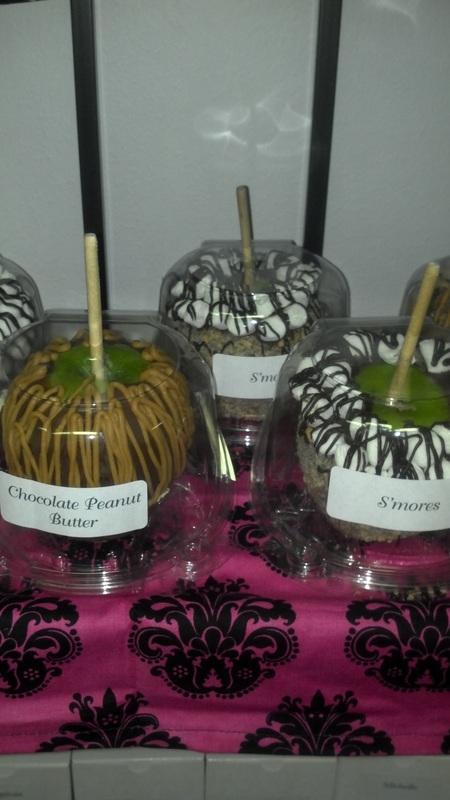 One Friday a month we have a Special Deal on our Gourmet Apples! $6.00 each or 2 for $10 ANY FLAVOR!!! All you have to do is place your order by the deadline date and only in an email. You can pick them up at the designated place on the date and time specified or have them delivered for a discounted fee!